Epson Robots, a supplier of SCARA robots, has signed Interfaced Technologies, a distributor of industrial assembly technology and equipment, as an official distributor for the full line of Epson Robots automation products. 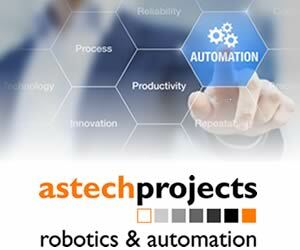 This includes Epson SCARA, 6-Axis and Linear Module robots as well as integrated solutions such as the IntelliFlex Feeding System, Vision Guide, Force Guide and many other industrial automation products offered by Epson Robots. Artificial intelligence is everywhere. In fact, you may have interacted with it today and you didn’t even know it. AI can streamline a lot of our daily business operations, freeing us up to tackle more difficult tasks. Sensors supplier Sick showcased a new “smart logistics” system at the recent ProMAT Show, one of the world’s largest material handling exhibitions. Sick says its system demonstrates how to obtain greater efficiency throughout supply chain operations. Within a diverse and innovative sector like the manufacturing industry, flexibility is key. Robotics, a key enabler of this, has already taken this industry by storm, allowing factories worldwide to automate more and more tasks, cutting costs and increasing productivity. 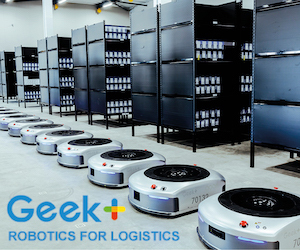 Rethink Robotics has signed deals with nine distribution partners throughout the United States and Europe to extend the availability of its smart, collaborative robots. With an extensive network throughout the world – including partners in the US, UK, Germany, France, Spain, China, Korea, Japan, Mexico and Australia – these distribution deals are part of Rethink’s efforts to meet growing demand across the globe, bringing flexible automation to the global manufacturing market. Industrial internet of things applications are leading to better collaboration, faster problem-solving and increased productivity, according the boss of Rockwell Automation. Blake Moret, president and CEO of Rockwell, spoke on internet of things adoption and its impact on industrial productivity, sharing insights with more than 1,200 business leaders at Cisco’s IoT World Forum. Technology in the fields of life sciences and medicine is constantly evolving. New manufacturing techniques have made it possible to make more effective therapies, and advances in research have led to more cost-effective solutions to conditions that were once considered too expensive to treat. One of the most interesting aspects of the evolution of medical technology is the constantly increasing involvement of automation in various medical operations, particularly in diagnostics. Back then, essential diagnostic procedures relied on manual procedures. While conventional methods were successful to a certain degree, they are hampered by certain limitations. Delta, a provider of power and thermal management solutions and industrial automation solutions, is showcasing its complete portfolio of next-generation industrial automation products and solutions at SPS IPC Drives Italia 2017. The company says its solutions are designed to augment the productivity of manufacturing and industrial processes in a broad spectrum of applications. Swisslog Warehouse and Distribution Solutions Americas has formed an automotive group and appointed Terry Krantz as vice president of sales and consulting. Swisslog Warehouse and Distributions Solutions Americas, a Member of the Kuka Group and leading provider of best-in-class intralogistics solutions, announces the formation of a new automotive business unit focused on developing and delivering intralogistics automation to tier one suppliers and original equipment manufacturers.